Nobody goes to Norfolk by accident - it is one of the corners of England on the 'least visited' list, but it's a great place to go, and only two hours by train from London. 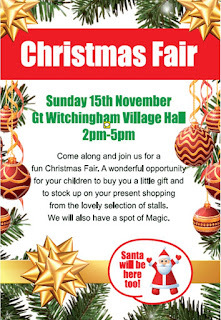 Jemima lives in Norfolk, and will be signing books at the Christmas Fair at Great Witchingham Village Hall on Sunday 15th November between 2pm and 5 pm. 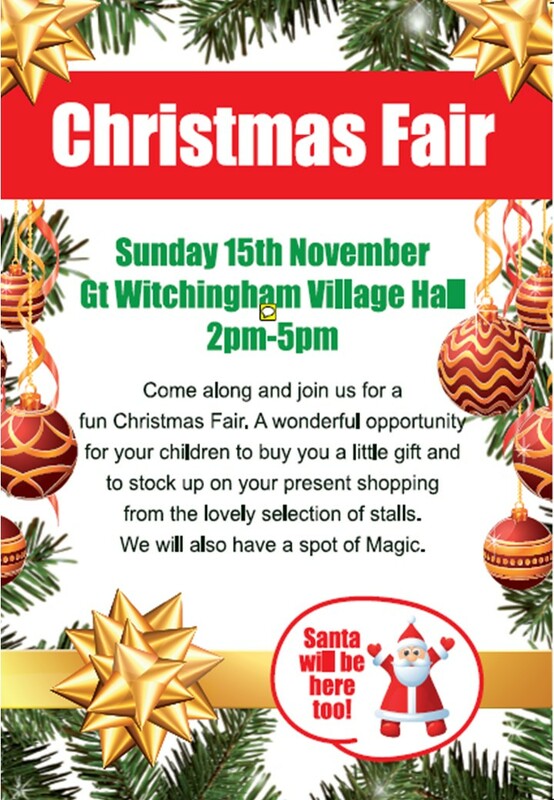 As the poster says, there will be plenty of other stalls if you'd like to do a little Christmas shopping - and Santa Claus will be visiting, too. For details on getting to the Hall, see here. I'll be right there...I wish :) Best of luck with that.